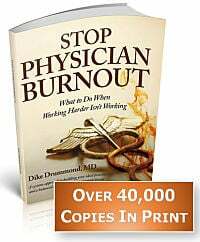 In our work with thousands of doctors we have created, tested and refined many tools to reverse the downward spiral of physician burnout. 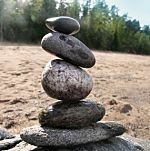 In this article we will show you our Top Three Tools to build the life balance you are craving. It is a DILEMMA of the highest order requiring a coordinated STRATEGY to address your specific matrix of stress sources. 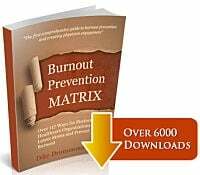 Your strategy is a group of 3 - 5 tools you hand select from the four parts of the burnout prevention MATRIX. You must have a structure to build work-life balance into every week. This is where the Schedule HACK Process comes in. This technique is the most powerful and consistent way to have a more balanced week - Every Week - and it only takes 20 minutes on a weekend and your ability to take a picture with your cell phone. Do you ever feel like your life is passing you by as your weeks and months are dominated by the gerbil wheel of your practice? You probably have a Bucket List - a list of those things you simply must do/see/experience/accomplish in this lifetime. 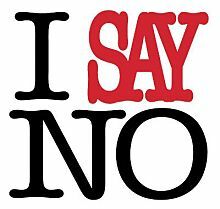 If you don't know how to say NO, you will always be over committed, over scheduled, with too many things you are doing for other people to build the life balance you seek. The Quick NO, Slow Yes process is field tested to stop the overload and keep your schedule free for your life, rather than filled with other people's priorities. The better doctor and nicer person you are, the more you need this tool! Every time you say YES to their request you are helping THEM get their job done and potentially hanging YOUR family and your life out to dry. Unless you know what you really want to do - you won't recogize that 85% of what people ask you to do for them is not in your best interest. Sit down and put together the first pass on your Ideal Job Description now. This is your reference point going forward. "Thanks so much for asking me to be on your committee. I want to give you an answer right away. My answer is NO ... that is not a committment I can make. Good luck in your search." If you are tempted - in ANY way - to say YES, DO NOT say YES in this initial conversation. You have been asked to chair the new Safety Committee. 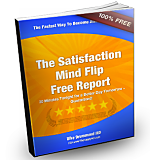 This is a topic you are interested in and it could be related to your Ideal Job Description. Do NOT say YES in this initial conversation. "Thanks so much for asking me to play a role. I am potentially interested. Please give me A WEEK to consider the responsibilities involved. I will give you my answer then." What do you do in that week? You will never again surprise your family by telling them you won't be able to see their ballgame or go on a date night - because of a conflict with a meeting that they have never heard of. Everyone will be on the same page. We just completed the Heart of the Healer Retreat and this is the #1 tool the participants used in the first week back from their five days on Orcas Island. In just seven days they said a nice solid NO to multiple requests for their time and energy. The only way out of Einstein's Insanity Trap is to take different actions. The ball is in your court and we want you to know this for sure: your quality of life and your relationship with your family is at stake here. It is up to you - and you alone - to create the life balance you seek. The time for new actions is now. Here is our guarantee -- each of these tools works every single time you use it. Pick one - take action - you will notice results in your attitude and energy immediately - guaranteed. What are your favorite physician work life balance tools?